Today’s featured Saipanpreneur of the Week is Irene Lomosad. Originally from Cepu, the Philippines, she’s lived in Hong Kong, Manila, and has made Saipan her home since 1997. Blessed with a sharp mind, an eye for opportunity and a knack for selling, this “Philippina phenom” has been blazing a trail through multiple industries. Irene was one of the first people I met here on Saipan and she made a unique impression on me from the moment I met her. How did you find yourself on Saipan? "A former boyfriend came to Saipan first in 1996. He came as a journalist, and told me about it. After being here for five months he asked me to come stay with him. So I came to Saipan in February 1997. I started worked at Tan Holdings that same month, and did so until 2003. 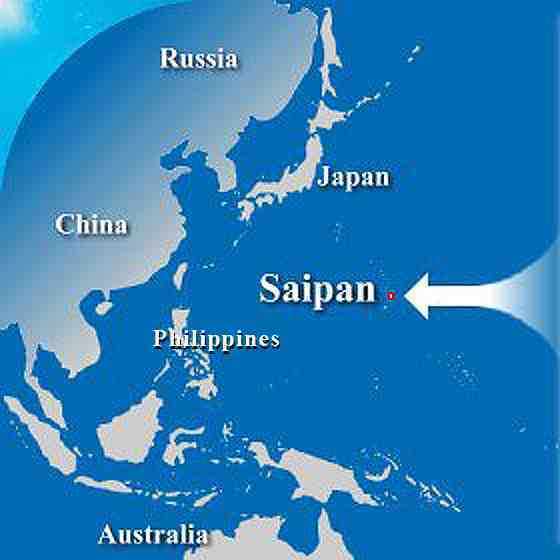 I actually left Saipan in the later part of 2003 to live in Manila. I quit my job and went back home. But those plans didn’t quite work out, so in early 2004, realizing that I had fallen in love with Saipan, I came back. "But I didn’t have a job or any plan of what I would do. My current business partner, Dave Burger, whom I met in the Rotary Club on Saipan, really helped me at that time. Dave was the one who helped me with advice and even offered me the use of his office from which to plan my next move. We’ve been business partners ever since." What was your first entrepreneurial venture? "In 2004, Dave and I started a sourcing company called Global Sourcing, LLC. What we do is find customers interested in just about anything—foodstuffs, construction material, uniforms, you name it—and we find suppliers, usually in Manila, arrange the shipments of these items, and get our customers what they need. That was my first business. When I was working at Tan Holdings, my job was in one of their companies called CTSI (Consolidated Transportation Services, Inc.), which is a shipping company. So I had a wealth of experience as well as contacts to tap into." Many people here on Saipan may be more familiar with your salon. How did that get started? "In October of 2005, we started Ystilo Beauty Salon and Dress Shop. Actually it was an existing business that somebody sold to us. It seemed like a great opportunity. The investment wasn’t that much, and there was not much sourcing activities happening at that time. It seemed to me that as a dress shop, we could get business, providing uniforms to people here on Saipan. Most people I spoke to and knew of were getting their uniforms off island. So it made perfect sense to use our existing shipping and supplier contacts and connections to import materials from Manila and provide uniforms made here on Saipan at a cheaper price." One thing I was impressed with was the range of industries you seem to move easily between. How did you develop such versatility? What prepared you? "[Laughs] You’re right! One day I’m talking about sequins, designers, fashion and hairstyles, and the next day I’m talking about metal studs, steel and trucks! But to me, it’s all the same. Selling is what I’m good at. I know I’m a salesperson. Anything that has anything to do with selling, I’m there. To you that’s a parlor and a dress shop. To me, it’s a selling opportunity, because then I can sell the idea of buying uniforms on-island rather than off island. So whether it’s fashion or steel, the industry is simply another opportunity to use my selling skills." But your major was accounting. How did you discover you were good at selling? “Yes, I graduated with a major in Accounting from the University of the Visayas, in the Philippines. But to tell you the truth, I hate accounting. That’s what I was doing at CTSI, at first—accounting. But being a people person, you can imagine how boring that was for me sitting behind a desk all day. One day they had an opening in a sales position. I said let me try...I figured anything that’s not accounting has got to be a better job. If nothing else, at least I get to talk to people! “They gave me the most difficult accounts, and I did well! So between 1998 and 2003 I was actually in sales. This ended up being very helpful, [because] when I came back to Saipan, I called on these same customers I had been working with, and because of our relationship, they were more than willing to help me." I also know you have a venture having to do with health. Could you tell us about that? "Health! Yes, now that’s my real passion! Anything that has to do with health and fitness, I’m sure to get myself involved with. This idea came to me when I was in a gym in Manila late in 2005. The gym owners had a meeting where they unveiled a unique service for busy, health-conscious professionals. If you’re working and you don’t want to or don’t have the time to cook, or if it’s just too hard to prepare healthy meals, they would supply the breakfast, lunch or as many as five or six meals a day to health conscious people. Customers would sign up, pay for their menus in advance, and then the gym would prepare and deliver the food. I developed a business idea called Healthy Fusion to bring that same service to people here on Saipan. What obstacles did you have to overcome to be here today? Speaking of those people, is there anyone you’d especially like to mention or thank? So what’s next for you, Irene? "With the military build-up in Guam, there’s a lot of opportunity for entrepreneurs. There’s going to be a boom in Guam—real estate, food supply, construction materials and many other things—as well as opportunities for entrepreneurs here on Saipan. We want to make sure everyone benefits. In fact, there are companies here on Saipan that are now able to do business in Guam because of our contacts." "Our company, Global Sourcing, has been approved by JEA Steels, in Manila, one of the largest steel producers in the Philippines to be their exclusive dealer here on Saipan and in Guam. That’s a major accomplishment for us, and gives us the opportunity to grow as well as bring business to the CNMI. "I’ve been to Guam twice in the past few months doing research into business licensing and requirements. So if any entrepreneurs here on Saipan are interested, we certainly don’t mind sharing the information." Irene, any final words of inspiration or insight into your success as a role model for others? What three things have you learned? “First, being in business means you really have to work hard. Sometimes people see the end result of hard work and see the boss coming to work at 10 and leaving at 3, and think that it’s easy. But it’s actually way more, hard work. “Second is the power of relationships. I believe in relationship selling. People will want to deal with you because they know you and trust you. People will listen more if you know them. It’s through the strength of your relationship that you create an opportunity for the product. It’s always best to nurture relationships, friendships and contacts. And speaking of giving back, I should let the readers know that as part of a special program sponsored by the labor office of the Philippine Consulate, you actually volunteered to teach free classes here on Saipan to Philippine contract workers. What’s been the best thing about following your passions and talents and being able to earn a living at it? 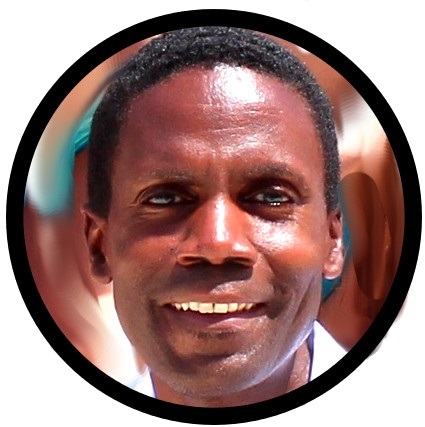 “While I’m grateful for the attention, I know I’m just a steward. Everything is from God. I cannot take credit for anything. Suppliers, customers, inspiration, even the energy to get up and come to work is coming from Him.